This unit can only be sold with a prescription or to a qualified health care provider. After your purchase please email or fax a copy of your prescription or medical license. The Intelect® TENS Digital - Portable Electrotherapy For Symptomatic Relief and Management of Chronic Pain and Acute Post-Surgical or Post-Trauma Pain. 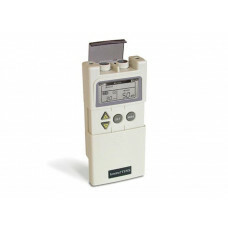 The Intelect Digital TENS Unit creates electrical impulses that stimulate underlying nerves and tissue reducing pain .